September’s special report on digital marketing, directed by Inman’s Kim Manning, peered into the marketing coffers of readers to pick apart the various tools and platforms used to reach customers online. Perusing it will show any agent not yet comfortable with investing beyond a website what tools and tactics are worth a chunk of their commission. On page 8 of the report, Manning summarizes four specific tactics that, if combined, are likely to produce a good return on investment. There are a lot of options buried in those four concepts, and I’ve reviewed many of them. Let’s have a look at a few of the standouts. MailChimp’s tablet app is more fun and informative to use than it’s desktop, but harder to use to create. Also, I highly recommend MailChimp’s phone app, Snap. Made for iOS and Android, Snap makes it quick to send an image-based email, using only a few bits of copy, to any of your lists. This is a great tool for announcing new listings or broadcasting happy clients after a close. BombBomb video messages can be sent to one or many. 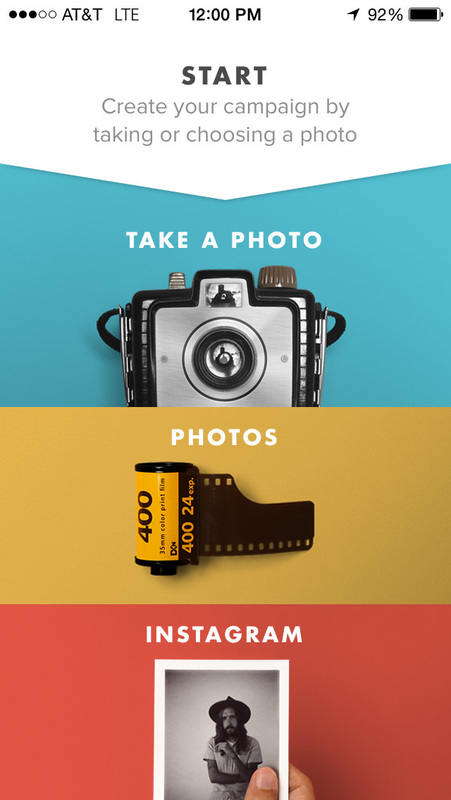 All you need is the camera on your laptop or mobile device. Videos are framed in a branded viewer with your contact information, links or additional calls to action. Videos open in a separate window for the viewer, yet don’t constrain browser performance. The company’s ad building and placement tools enable you to promote specific listings, your company’s brand or your need for new agents, if applicable. AdWerx uses re-targeting, which means the ads will “follow” interested prospects to different, nationally-trafficked websites. Ads created can push viewers directly to branded Reach150 page with listed referrals and calls to action. Well, Facebook is Facebook. There aren’t any other “products.” However, there are plenty of tools to help you create, schedule and monitor your Facebook content. Why not just work natively in Facebook? Because its campaign and scheduling tools aren’t terrific. It doesn’t assist in creation of content, and in general, it’s ridiculously distracting. 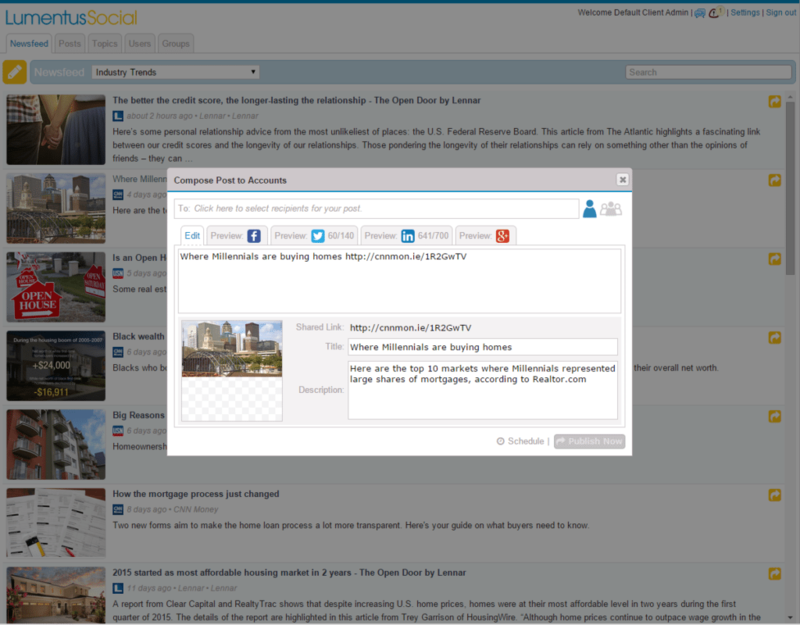 Easy to control content per agent and manage on behalf of agents and teams. Focused heavily on content for Facebook. Lumentus Social is not a pushy, sales-driven marketing tool. I view it as a brand-building customer loyalty creator. The software cleanly maps you from one step to the next, providing metric benchmarks and analytics as you go. Using Rignite’s Campaign tool, its most compelling argument for adoption, agents can build an entire social media plan around a single listing. Setup involves uploading logos and creating your branding parameters, like background colors and phone numbers. Busivid then processes that information into an animated opening sequence, in-video watermark and a closing card with a call to action.